This quinoa salad is so fresh and light, and it’s the perfect side dish to go with wonton taco cups. 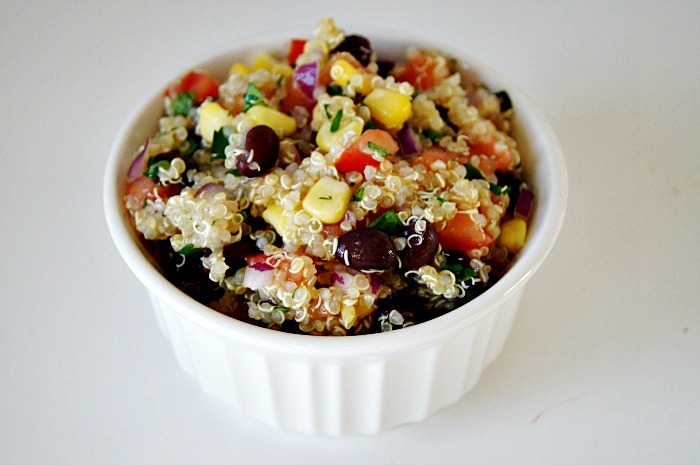 If your kids haven’t tried quinoa before, this is a great first recipe to introduce it to them. In a large bowl add all ingredients and mix until thoroughly combined.